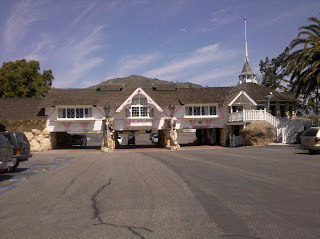 As you drive the 101 near San Luis Obispo you will come upon a one-of-a-kind hotel/restaurant - The Madonna Inn. My friend, Anne, had told us to stop here on our way home. 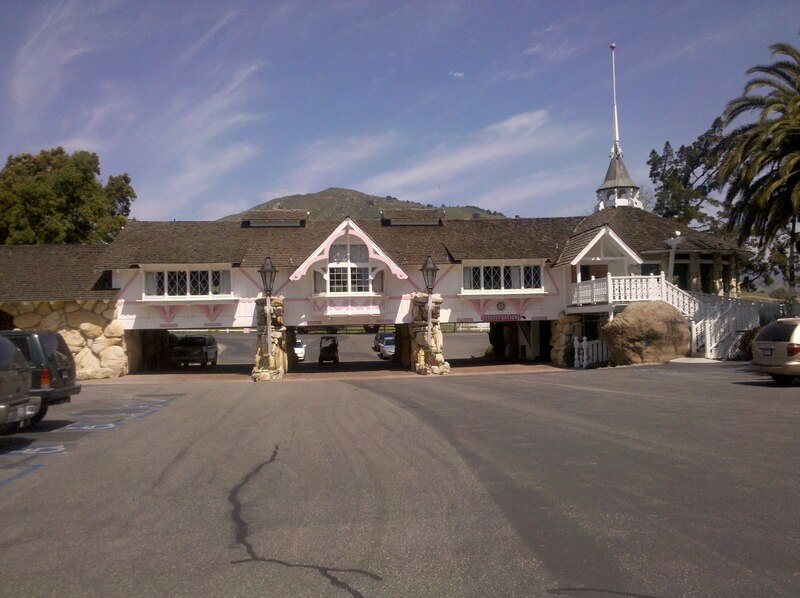 The place is famous for theme room accomodations. Our dirty minds were thinking of the kind where you can find a jungle, Elvis, cowboy themes. It wasn't quite that kitschy. The rooms still have similar themes and are kinda tacky, but not as, I guess, raunchy as we imagined. But we were here for a pit stop and just went into the famous Copper Cafe. 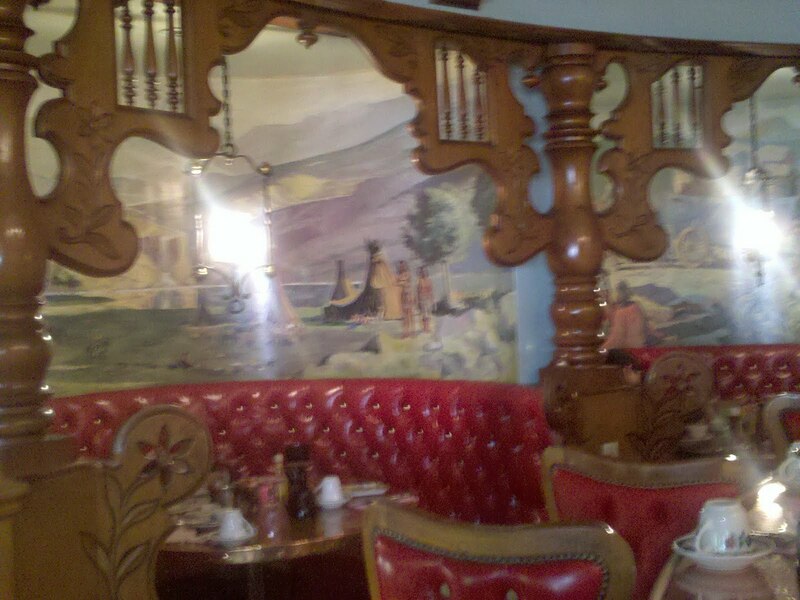 You can see the elaborate decor here. We were immediately faced with huge cakes on display. Michelle and I both have sweet tooths and couldn't resist. 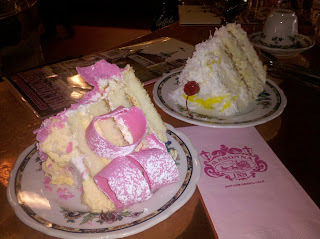 We sat at the bar and ordered a slice of the pink champagne and the lemon/coconut cakes. I swear the slices are a quarter of a cake each! Huge! We were sharing and could not finish both slices. They were good and fun. But don't expect anything special about the cake itself. Just typical regular cake under a lot of whipped cream frosting that's been flavored. Still, we enjoyed them. 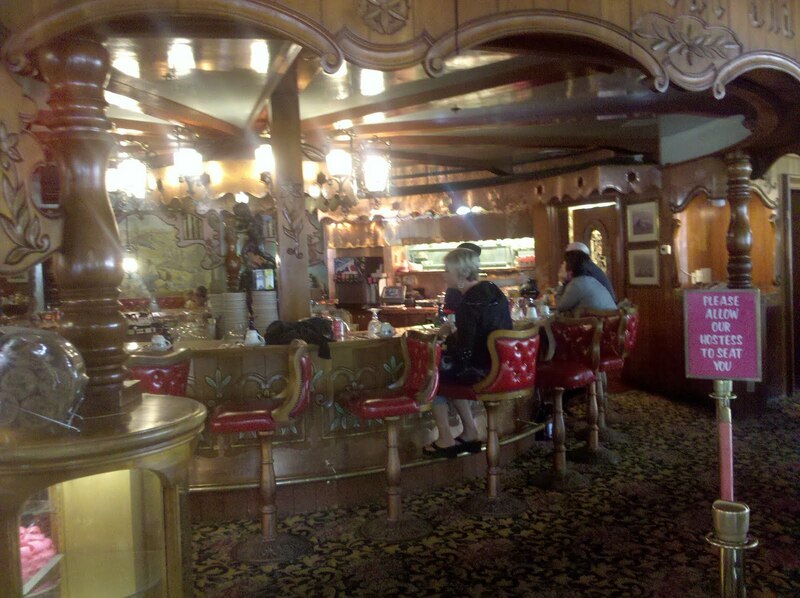 Think of it as one of those touristy roadside restaurants like the Nut Tree or Andersen's Pea Soup. 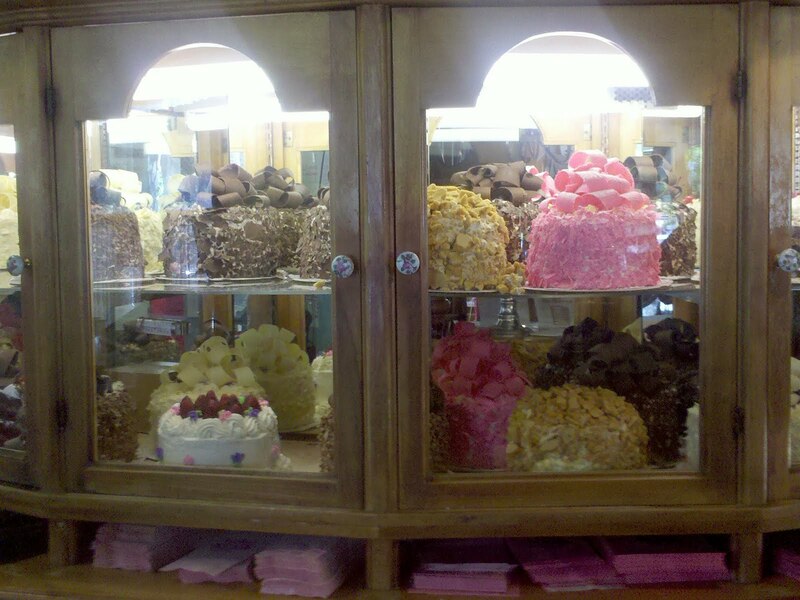 I can definitely see stopping here again for another pit stop and a huge piece of cake.